The manual, time-consuming and often dusty dispensing operation can be carried out away from the granulator, with the IBC then being brought in to feed directly via gravity. 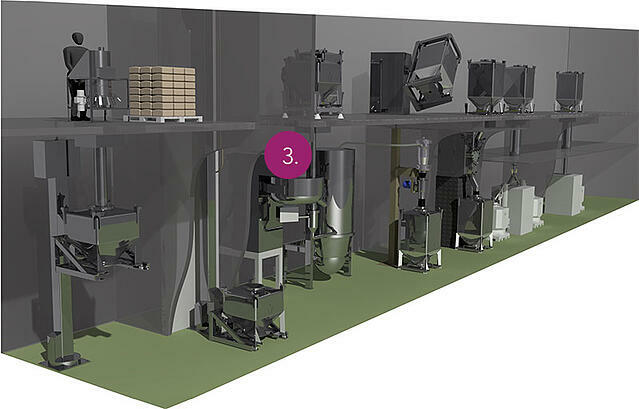 The Matcon system is a closed system so keeps dust to a minumum. 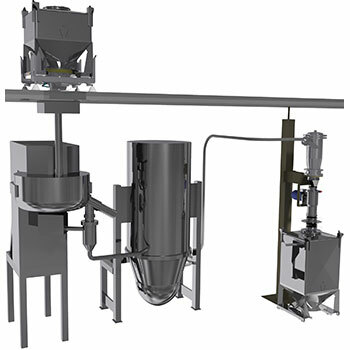 When compared with drum tipping or vacuum transfer, the overall throughput of a granulation system using Matcon IBCs can be improved by an estimated 10-30%, because the system can be automated for feeding to the granulation process. In addition in multi product facilities it is also quicker to make frequent changeovers. The Matcon Cone Valve IBCs provide full discharge of all powders. They have been proven to deal effectively with even the sticky materials such as metformin without the need for operator intervention. A full granulation lot can be discharged automatically, completely and rapidly. They do not cause choking or dusting as suffered with vacuum transfer to granulation systems. Cone Valve technology for complete IBC emptying.